A proud mother got a birthmark identical to her son’s painted on to her face to celebrate her little boy’s unique look and to understand what it felt like to be in her child’s shoes. 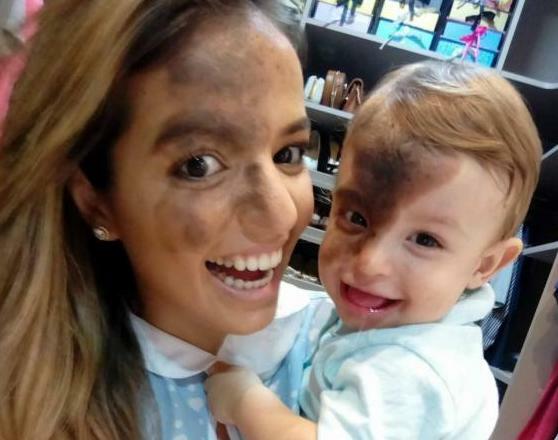 26-year-old Carolina Giraldelli from Brazil decided that she would recreate her infant son’s birthmark to teach him that he’s perfect just as he is, and to help him tackle any obstacles he may have as he grows older. 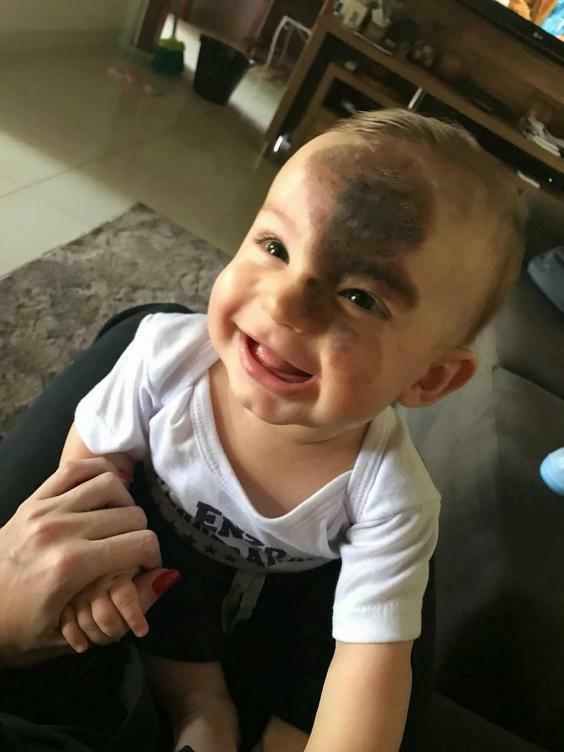 Carolina’s one-year-old son Enzo was born with a large, dark birthmark that covers the majority of his forehead, one side of his nose, and cheek. 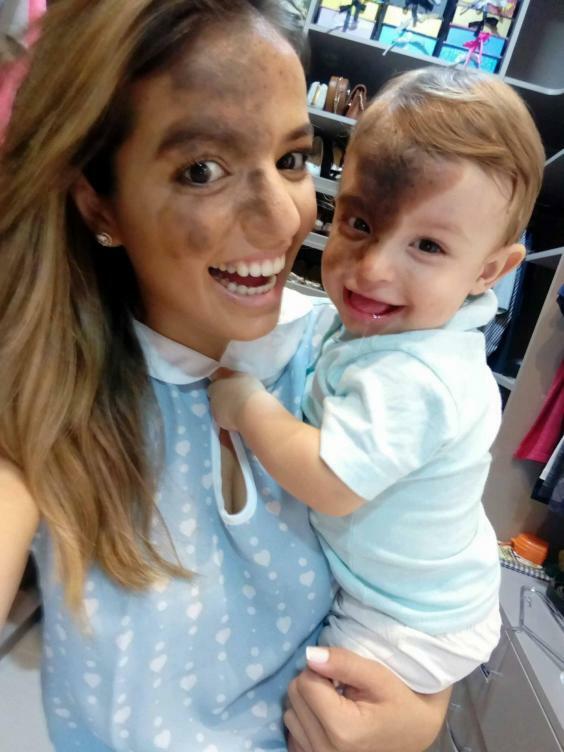 Enzo’s mother wanted to understand how her son felt living with the birthmark and so asked her makeup artist friend to recreate her little boy’s unique look on her own face. She told the Independent that once the look was finished, she felt like the most beautiful woman in the world. Giraldelli then shared the images of the makeup online and was moved by the huge amount of positive comments. We don’t know about you, but we think that Carolina is amazing and super inspiring for teaching her son about body confidence, and we think her son Enzo is just perfect!